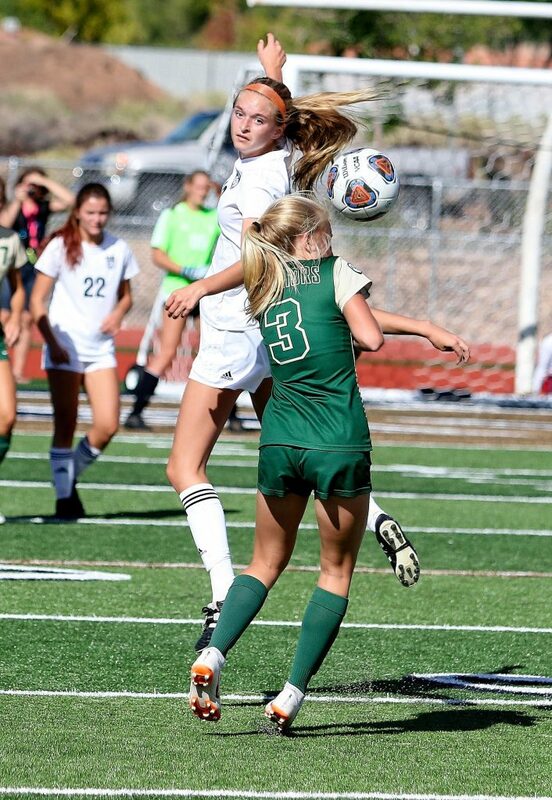 ST. GEORGE — The Snow Canyon Lady Warriors won a hard-fought game at home over Ogden Saturday afternoon to stay alive in the 4A girls soccer playoffs. 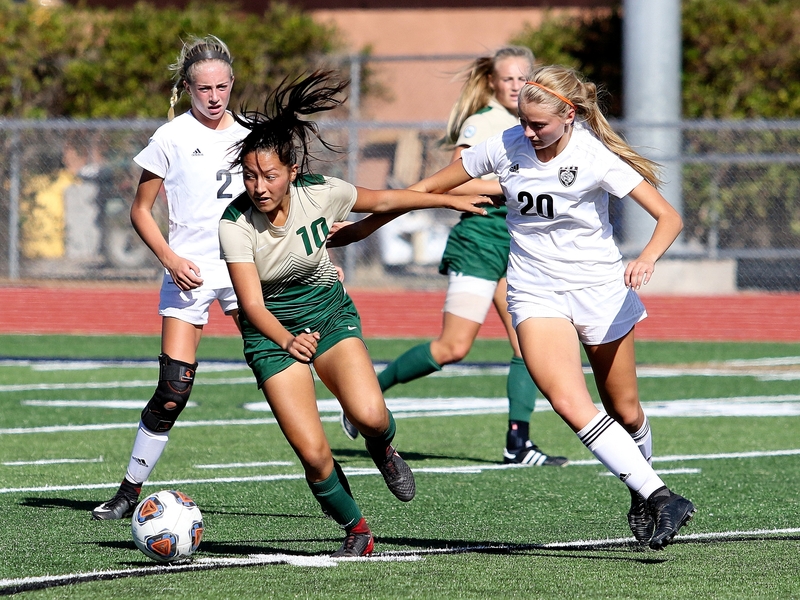 In the quarterfinal matchup, the Lady Warriors scored two goals in the second half to get a 2-0 shutout win over the Tigers. Snow Canyon head coach Kenny Kunde said his team came out “a little bit slow” in the first half. Kunde said his players came out much better mentally once the second half started. “In the first 20 minutes (of the second half), we had 12 shots and we were just doing a lot better finding those opportunities to attack up front,” he said. 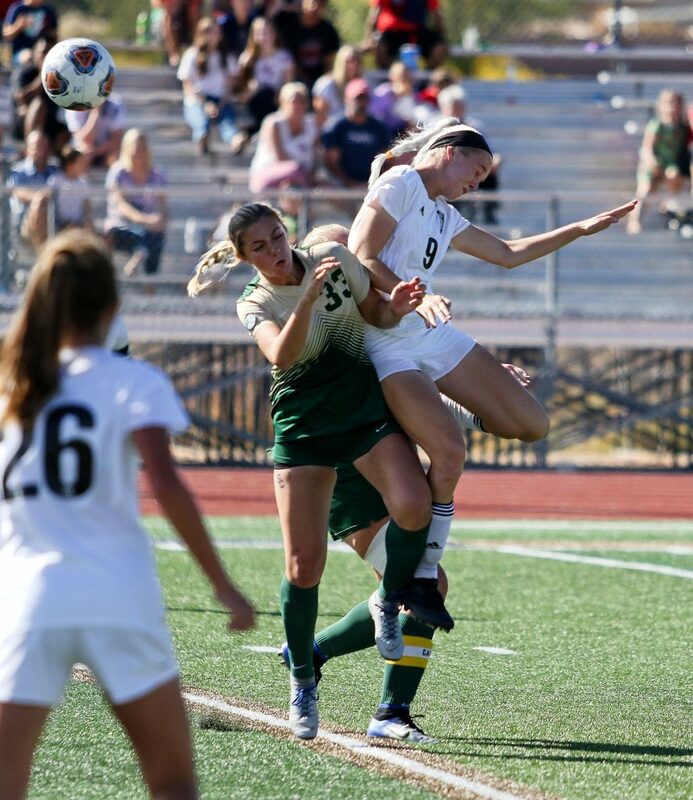 Snow Canyon finally broke the shutout on a penalty kick midway through the second half. 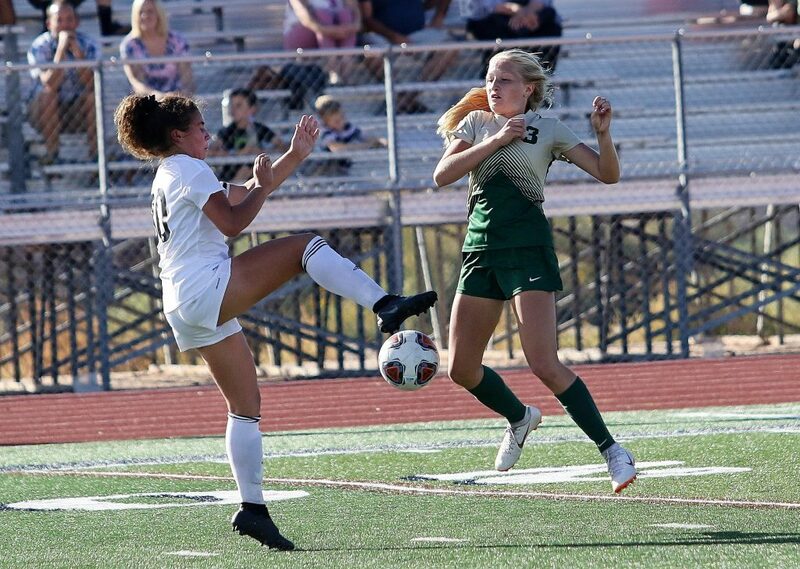 “Heidi (Smith) got up all through the defense and took it to the goalie and then was going to kick it in, and a girl just came in from behind and took her down,” Kunde recalled, adding that senior Adi Melendez put the ensuing penalty kick into the net for the game’s first goal. The referees handed out several yellow cards for fouls during the physical contest. Goalkeeper Megan Rodgers picked up the shutout for the Lady Warriors. She was helped out by a strong defensive effort by her surrounding teammates, their coach noted. “Shout out to our defense for playing a really good organized game today,” he said. 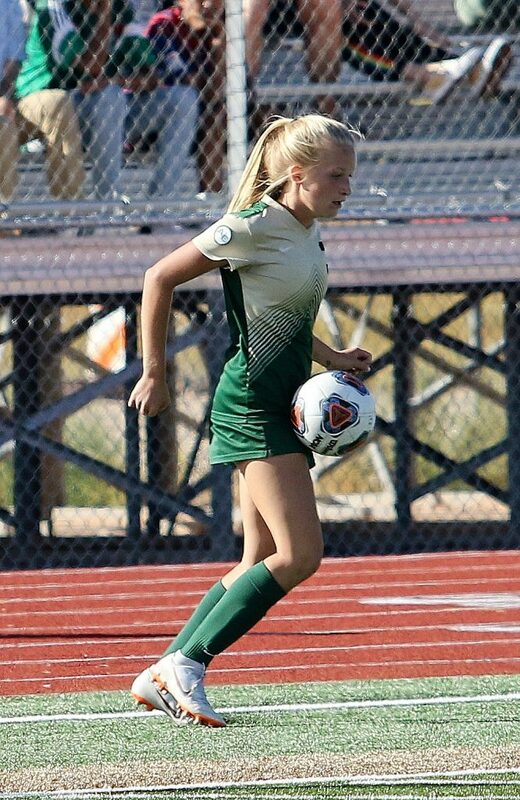 In picking up their second straight playoff win, the Lady Warriors now advance to play the Logan Grizzlies in the 4A semifinals next Friday, Oct. 19, at Jordan High School, starting at 3:45 p.m. The Grizzlies, the Region 12’s No. 1 seed, are 17-2 on the season, including 13 wins in a row and 10-0 in region play. 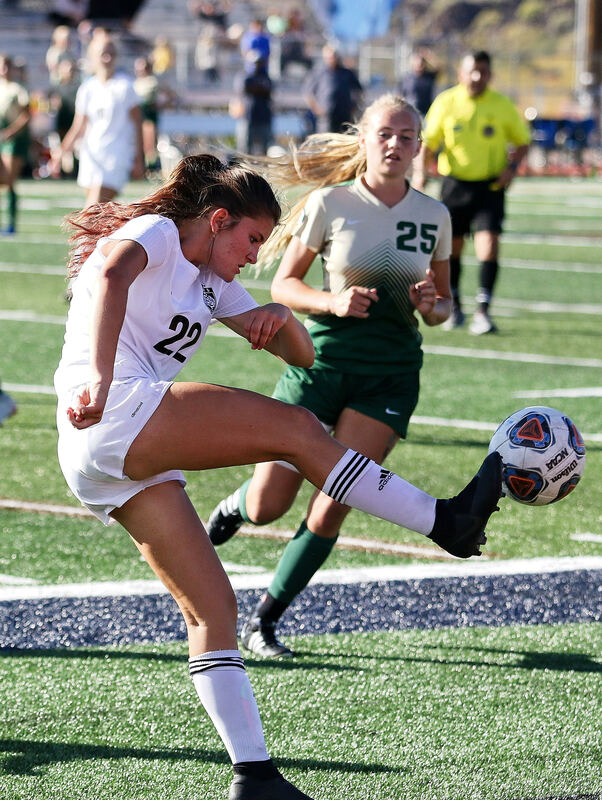 Logan beat Bonneville 2-1 in double overtime Saturday to advance to the semifinals. “We know it’s going to be a really tough game so that we’re prepared for that,” Kunde said. As for the Warriors, they are making their fourth straight appearance in the state semifinals, although they just missed making it to the finals in each of the past three years.